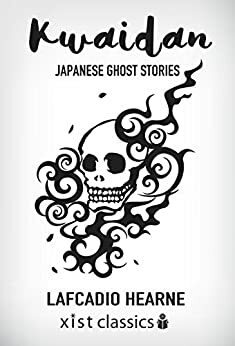 Japanese for ‘ghost stories’, Kwaidan is a collection of supernatural occurrences as told by the Japanese oral historians. Witness horror straight from the Masters of Horror and be prepared to meet fantastic characters like spirits, goblins and insects that mimic human behavior. I adore spooky stories and these are really captivating. It is amazing how they almost don't repeat thematics but are so many aspects in the supernatural in this chronicle of Japanese traditions. Some stories have a ghostly aspect, others are instead quite realistic and others are product of traditions and superstitious fears. Although the style at beginning seemed to me a bit slow it quickly grew on me. Lafcadio Hearne wrote it when Japan had just decided to be a modern country, a change made in a Japanese way, and in the care for explain the words is noticeable that he really loved to know that historic Japan that perhaps has survived in our days. There are some afterwords by interesting observations about insects, they are not related to the core theme of the book but nevertheless I found them interesting. The kindle edition has not been completely well formatted: you cannot click the notes to go to the referenced text. They are just at the end so (as this is not a physical book) as they impractical to review I just read the tales without them until I got to the very end. The first part of this book contains a mix of 8 "strange" (as the title suggests) stories. The stories are an eclectic assortment of ghost tales and legend but all of them will most likely seem strange to the Western mind. Individually, the stories seem confusing, perhaps even without point, but take them as a whole and they begin to paint a picture. They lend the reader a strong sense of the Eastern mind. It is really, quite a lovely collection. The second part of this book, contains a collection of three "essays", if you will, on insects. In particular, a sampling of insects which hold some place within Japan's culture or customs - butterflies, mosquitos and ants are covered here. To my mind, this is an unfortunate departure from the first half of the book's legends and tales. The information will likely seem a bit dry as Lafcadio Hearn (LH) hails from a different time and to many modern minds, I would think the words of his essays may seem rambling. Nonetheless, they are interesting in and of themselves for the information within. If I were to truly pick apart the fine particulars of the two subject matters, I could surely list some fine argument here as to why they are brought together as one, but in the end, the contrast is greater than the benefit. I find they cause quite some disharmony when brought together. Two last notes for this e-book version: 1) there may be some off-putting words to the modern mind in this book's introduction, which LH had written in January of 1904, in the earliest hours of the Russo-Japanese War. For example, LH references Japanese soldiers on their war boats as "little men", etc. If you can forgive these words as those from a different time, the meat of this book will be your reward, and 2) for those that appreciate additional information, endnotes are included at the end of each tale. Lafcadio Hearn is well enough known to both Japanese and Westerners alike, and well enough respected by both for his translations of Japanese tales that it would seem almost criminal for a Western student of things Japanese, to completely ignore his works. 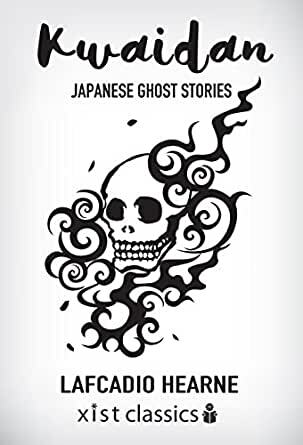 This book and any of his compilations of Japanese ghost stories and legends are highly recommended. Lafcadio Hearn is my favorite Western writer when it comes to the subject of Japanese legends, folk stories and other kinds of supernatural stories which you can find in Japan. This book contains stories that he heard and wrote down, all with notes about what is it, so we can know what is all about because Hearn was very diligent about describing Japanese culture the way Japanese people see it, not the way the Westerners see it. It also contains stories that Hearn witnessed himself, so we can see the way he reacts to some events which occurred in front of him or was told to him, which is, in my opinion, very interesting read, because usually Hearn just writes down what he was told and his opinion is, except the part he likes those stories and finds those supernatural events interesting, usually very professional and objective. Very good book for those who want to see Japan from a different perspective. I first read this book in 1959 when I was stationed in Japan. I, never heard of the author but found that the Japanese were very familiar with his writings. This book is scary and memorable. I had to have it for the memories of my youth. A charming collection of mostly supernatural Japanese tales. The charm extends to the three essays of natural history at the very end (Butterflies, Mosquitoes, and Ants), with the possible exception of the last, which has no connection whatsoever with Japan (whereas the first two emphatically do) and which does not do honor to LH's philosophical acuity (so say I).